Welcome to Brynjulfson, CPA, P.A. Welcome and thank you for visiting the website of Brynjulfson CPA. In addition to providing you with a profile of our firm and the services we provide, our website has been designed to become a helpful resource tool for you, our valued clients, as well visitors. Because we place great importance on remaining updated on the latest professional requirements and frequently changing standards, we also want to keep our clients informed and on top of issues that could affect them. For this reason we have included on our website news articles as well as links to helpful useful external websites. We encourage you to take a few moments to browse through our website and learn more about our firm. If you have any questions or comments, or would like more information about the services we provide, please contact us. We would love to hear from you. Founded by Mike Brynjulfson in 2007, Brynjulfson CPA, P.A. is a certified public accounting firm committed to providing the highest level of personal service as well as professional knowledge and understanding to each of our clients in the Central Florida area. We are highly specialized in providing assurance and consulting services with our primary focus being governmental entities. Governmental auditing and accounting is a very specialized field and is more challenging today than ever before. In response to the ever increasing technical expertise required of governmental auditors as well as the demanding level of continuing professional required to maintain our proficiency, our practice consists almost entirely of governmental entities. Although our qualifications and experience is commensurate with larger firms, our client base is much smaller, allowing Mike to be actively involved through all phases of each engagement. Every client has our commitment that we will always be accessible and responsive, and will be available on a moment’s notice to provide assistance. 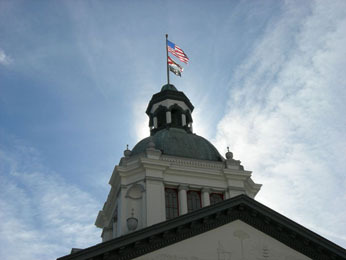 Brynjulfson CPA is centrally located in Lakeland, Florida and all engagement personnel live and work in Central Florida. We believe that in addition to an in-depth understanding of the technical issues involved in our engagements, our local orientation gives us the key benefit of understanding the economic and political environment in which our clients operate. Our partners and staff are actively involved in ethical and professional standard-setting professional organizations at the national and state level. These include the American Institute of Certified Public Accountants (AICPA), the Florida Institute of Certified Public Accountants (FICPA), the Government Finance Officers Association (GFOA), the Florida Government Finance Officers Association (FGOA) and the Association of Certified Fraud Examiners (ACFE). Because our firm performs audits, reviews, compilations and/or attestation services, we are governed by the peer review and practice-monitoring requirements of the AICPA and must undergo an external quality control review every three years. Our current “Peer Review” is available here.